Following the success of the award-winning Pleasure Prison, Expeditious Retreat Press is releasing more titles from 1 on 1 Adventures into FLGS and their on-line store. Check out our on-line store for details on the first four titles: Gambler’s Quest (rogue level 2-4), Star of Olindor (rogue level 6-8), Forbidden Hills (barbarian or ranger level 5-7), and Sixth Cavalier (bard or rogue level 9-11). I recently sent in a question to the Durham 3 podcast team: what’s a good lunch RPG that’s campaign based, has character development, and is easy to setup and break-down? Have you read Steven Erikson’s Tales from the Malazan Book of the Fallen series? It’s a stunning literary attempt to portray a serious RPG type world in which high level characters wreak havoc according to their own agendas. Highly recommended. After using MMIV now for a couple of sessions and for a lot of session planning, I give it a thumbs up. While it’s not an encyclopedic reference like previous monster manuals, it’s a useful and useable GM tool that cuts down on planning time. Check it out at your local game store, Amazon, or at the Roleplaying Tips discount RPG store. I’ll be using it some more in my campaign soon, as many of the critters in it are perfect for scaling the Forge of Fury module up to the level of my current group. The PCs should be entering the Forge of Fury in a session or two. Get some gaming done this week! Wolfgang Baur is writing another adventure by commission. His patrons choose and influence the project from the start! 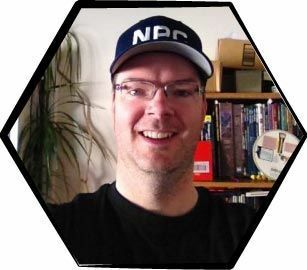 Learn how the TSR, Paizo, and WotC designer behind Dark*Matter and Frostburn plans and executes world-class work, as Baur describes the process every step of the way. Visit the Open Design site to sign up today! Themed skirmish groups are a great way to make combats interesting. Players love it when they encounter new, unexpected, and unusual opponents. Choosing a special theme and building a group of foes around it is also a good way to corral your preparation time, because it gives your planning focus and purpose. The result is a strong hook to game with, and a distinct foe players and characters will remember. Skirmish group theming also adds fun to preparation. It’s a game within the game for GMs where you try out different ideas, puzzle out good optimization, and add imaginative roleplaying details to make encounters even better. By skirmish group, I mean a unit of several foes. You could use the tips in this article to tweak individual critters and villains, but the tips are geared toward groups of three or more. The chief aim here is to transform repetitive, standard, and boring encounters, such as with a dozen orcs, a pack of city rogues, or a unit of town guards, into lively and challenging events for you and your players. All too often in my game sessions, a typical battle involves a small group of humanoids with standard equipment, predictable tactics, and boring behaviours. If this is you too, then join me in making unique foes that are challenging to game with. Break the mould the next time your PCs face what would normally be a cookie cutter foe. A challenge with building unique game elements is prep time. We use standard opponents because we’re familiar with them and they don’t take much time to get ready. As you’ll see, themed skirmish groups save you time over the long haul, and can save time in the short run as well. For example, they often centre around a specific game rule, serving as a useful tool for mastering the game rules, which makes you a faster, more confident GM. A themed skirmish group also helps you build several NPCs at once, and actually gives you a template to help design more NPCs of the same theme, as needed, in a snap. Even if you don’t plan on using the NPCs for combat right away, you still end up with a cool design to layer onto NPCs – you’ll just need to add a personality each time. Let’s spruce our zombies up with a theme to surprise our players next game. Perhaps they are particularly good at spreading disease. In D&D, at least, disease is not considered a chief weapon of zombies. Zombies don’t think for themselves much, so to facilitate a themed skirmish group of zombies, let’s add a zombie master. We now have a villain. Our villain wants to add extra oomph to his minions and make those crappy heroes who interfere all the time hesitate before they draw steel and chop his work down without a second thought. He decides to arm the creatures with chunks of diseased meat to throw at foes. From a GM’s perspective, this gives them a cheap distance weapon, it makes the monsters more interesting and challenging to fight, and you haven’t pulled this kind of trick before, so you hope you’re players will have fun with it. Note there’s a difference between unique and distinct. It’s important that themed groups have their own identity, their own recognizability, and are distinct from other foes fought in the campaign. For example, consider player reactions to pair of orc packs, with the only difference being one group wields longswords, and the other group uses short swords. It’s a difference, but not an exciting one, and not a difference that I’d say makes each pack distinct and interesting. Now consider another pair of orc packs. The first has green, light armour, buckler shields, and spears. They are swinging spiked nets over their heads, and have fang-shaped tattoos inked with blood on their cheeks and arms. Pack number two has red plate mail, two-handed, giant, orc axes, and their noses have been split and sharp bones inserted, pointy ends outward. Each pack makes a distinct impression that hopefully stirs imaginations, not to mention changes gameplay up a bit. Unique is great, but if you ever have to pick between being unique or distinct, opt with distinct. It’s critical your designs impact gameplay. RPGs are about player choices and decisions, and character actions. When designing themed skirmish groups, it’s not enough to just change a tabard colour or foe name. Each design must somehow make gameplay a little different from the other designs. They must present different problems or offer different opportunities for players to ponder. I remember reading Dragonlance for the first time and was amazed to learn that some draconians turn to stone when killed, trapping weapons and petrifying belongings, while others exploded after the death blow, causing great damage and lots of light and noise. Not only were these cool monster hooks, they also forced the heroes to change their tactics. Many players are happy with simple variation. Change up scimitars for rapiers, and they are pleased even if damage dealt by their foes, or foe capabilities, remain nearly identical. Switch blue hats for green hats, give the NPCs a different culture name, and some players are satisfied. This makes accomplishing your goal easier, but I encourage you to make it a regular practice to change up interaction as well. It’s a good GMing skill to develop, and if you are changing up interaction then you are guaranteed to be pleasing this type of player at the same time. Crafting your skirmish group theme around a specific game mechanic is not an absolute requirement. A key goal is interactivity – you want to make your skirmish group interesting, in a game sense, to the players and their characters. Focusing on a game mechanic though, such as a special weapon type, a certain skill, or a specific social interaction rule, is an easy way to accomplish this. In addition, you still need to maintain game balance and consistency. Your skirmish group can’t be universally awesome. Ironically, the more things a skirmish group is good at, the less distinct and interesting it becomes. Therefore, picking a single game mechanic as the design kernel keeps your games better balanced. Remember, a skirmish unit is just a general label or concept, and it doesn’t mean only combat. If your game involves a lot of roleplaying, for example, then a well- designed diplomacy group could cause your players a lot conflict and fun challenges. Write down a few ideas and add to the list when inspiration strikes. Some ideas will be stronger than others, so feel free to start with those. However, ideas that seem weak at first can have amazing subtleties when tinkered with, played around with, stretched, and moulded. 3. What Is Your Goal? Early on in the process, you should have a clear idea of what you want to accomplish with any particular skirmish group build. You can have more than one goal, but defining up front what you want to accomplish sets specific expectations. This helps you measure success later on, and it keeps stress levels down and the fun factor up. For example, your main goal in building a skirmish group of diseased-meat throwing zombies might be to learn the rules about ranged combat with improvised weapons and the rules for disease. During the session, if the zombies get smashed to pieces without the PCs breaking a sweat, you shouldn’t feel bad – you learned the rules, so that’s a goal accomplished! In terms of game resources and elements, your themed skirmish group will always have a budget of some sort. A lot depends on your game system, but there are a few meta-game limits as well. You will almost always spend time on this type of thing. For planning and preparation, time required depends on your mastery of the game rules, clarity of concept, and goals. For session time, you have a limited budget: session length. Your skirmish group might require more than a usual amount of GM time because of its complexity. For example, a group with 40 members active in an encounter means you have to control 40 NPCs. How much GM time will you need to invest in gaming this thing? Is that time requirement ok? Another factor of session time is the players. Skirmish groups that require difficult decisions will slow game sessions as players discuss and debate. Skirmish groups that require lots of rules knowledge and factoring on the players’ part might also impact game time expense. Between sessions, will you need to perform any updates to keep the skirmish group relevant and ready for an encounter? For example, in D&D, if the skirmish group doesn’t enter the game at its anticipated time, then you might need to scale the group up to challenge PCs of a higher level than initially designed for. Before you begin designing your skirmish group, decide on a time budget: planning time, in-game time, and maintenance time. Use this budget to narrow or broaden the scope of your design accordingly. For example, you might want a themed skirmish group to make an adventure climax encounter memorable. You’re prepared for the encounter to take a whole session, because it’s the end of the adventure one way or another. With this in mind, you reason it’s ok if it takes you two whole nights to design the group, and you also figure you’d have the in-game budget to facilitate changing the initial design from orcs to spell-slinging giants to make the content suitable for a climactic event. Speaking of PC levels, how great of a challenge do you want the skirmish group to be? Chances are, you’ll have an encounter level, build points, resource points, or challenge rating type of budget to allocate and spend. Your game might hinge on wealth. Thematic choices are often limited by what the skirmish group can afford. GM fiat lets you piece anything together, of course, but sometimes it’s fun to stay within certain constraints – boundaries encourage imaginative problem solving and ingenuity. This one is quite important in systems and campaigns with a fine game balance. If the PCs are victorious, what are the potential rewards? Sometimes, you’ll want to establish a reward budget up front and work backwards from there. For example, you decide on a group of flamethrowers. What if the PCs are clever or lucky and knock out the skirmish group right away? Would it be ok if the player characters got their hands on a bunch of fully fueled flamethrowers? You ponder this and decide that could upset game balance for future encounters, so you tweak the group to be Molotov Cocktail throwers instead. Remember that reward consists of equipment and possessions as well as treasure piles, information, increased status, new or better contacts, and more privileges. Establish a reward budget and try not to break it. Suppose you dream up an evil dwarf, high constitution, masterwork full plate mail and steel shield unit. While kind of bland in concept, these bad boys have been conditioned all their lives and trained well, giving them above average hit points. Their tough armour and shields give them a great defence. In addition, with their ability to see in the dark, a favourite tactic of theirs is to sunder or kill all light sources, making it even tougher for normal vision folk to hit them. In theory, this is an interesting foe. Add some armour colours and crazy battle chants, and you have a fun game element. However, with the jacked up hit points, they are going to last longer than your average opponent, drawing out the length of combat. Furthermore, their strong defence is hard to penetrate, making combats longer still. In addition, if the PCs are victorious, the dwarves will leave behind some valuable equipment for immediate use or future sale. In this case, you should evaluate the challenge budget, time budget, and reward budget for such an encounter to determine if it’s a good fit for your campaign. In your quest for opponent optimization to make your skirmish groups challenging and interesting enough, you might consider the abilities of the PCs and tailor encounters accordingly. You might have designed an awesome skirmish group on paper, but during sessions, it might not be fun to play against. You are better off tarnishing perfection and tweaking for higher fun factor. It’s important the end result of your themed skirmish group design is to make players think and choose tactics based on the interesting challenges you’ve set before them. Avoid cancelling out character abilities. Removing options and choices is great to encourage thinking, but not if characters are now unable to use their cherished abilities. It is good to deny abilities from time to time to encourage players to dream up new strategies, tactics, plans, and action. However, if you are using this article as a design process and set of best practices, then make it a habit to not deny character abilities. For example, if a PC has just been rewarded with the magic hammer, Frost Doom, then it’s bad form to make the next encounter with a skirmish group immune to cold. Present challenges with distinct solutions. A worst case scenario of your hard work is the PCs come up with a universal solution for overcoming your themed skirmish group that any group of characters could manage. This invalidates all the current character development, not to mention the themed aspect of your creation. If any PCs can do this, what’s the point? For example, you build a sinister cult of yuan-ti sorcerers who excel at mind-influencing magic. They’ve hidden in the catacombs underneath a city and are building up a network of agents. The PCs learn of this powerful conspiracy, find the location of the creatures’ subterranean headquarters, and storm the place. After a tough battle, they kill the leaders and avert the threat. That sounds like a fun plot. However, you could substitute “yuan-ti sorcerers” with many other types of foes and situations, and the adventure would play out the same. Any group with some muscle could claim victory. If that’s true, then why bother designing the themed yuan-ti skirmish group? Save time, plunk in other foes that take less time to craft, and you’re done. The solution is to build skirmish groups that challenge the PCs and require the PCs’ special abilities. Do this by considering the strengths and weaknesses of the skirmish group and the PCs, and then performing an interesting match- up of each. Give the skirmish group strengths that do not invalidate the PCs’ special abilities but do invalidate other solutions. Make the PCs’ special abilities key to victory. Make other kinds of special abilities ineffective or inefficient. This creates a logical need for the PCs to get involved in the adventure, and establishes a good explanation of why other agencies require help or do not solve things themselves (though those agencies could still be involved and interfering, helping, or opposing the PCs). Another trick is to provide the same treatment, but for the skirmish group’s weaknesses. Make it so that few other game elements, such as governments, rivals, and foes of the skirmish group, have the special abilities or resources the PCs possess that are particularly effective against the skirmish group’s weaknesses. Note: the term special abilities of the PCs refers to whatever game, character, or player elements the group has that makes them different, interesting, and distinct. It could be their array of magic items, catalogue of special powers, network of contacts, power levels (i.e. character points or class levels), a way with words, or superior cooperation and tactics the game region currently lacks. A great way to make this task manageable is to craft a chart or list of the PCs’ abilities. This becomes a design checklist for your skirmish groups. PC abilities either become points of skirmish group weakness, or points of strength where the PCs have an edge somehow. The checklist also lets you know how you can make the campaign or game world region deficient so the characters are the essential solution. Next, turn to the list of categories in Tip 2: Choose An Interesting Game Mechanic For A Skirmish Theme. Note what categories the PCs don’t excel in, and consider making some of these strengths for the skirmish group. While minor skirmish groups don’t require this treatment, using the strengths and weaknesses technique will make any theme more viable and force interesting solutions. You can also consider skipping this step if you’re in a hurry, and trust your instincts to craft a challenging problem. Note that, once you have the PCs’ abilities mapped out, you can re-use that map for all future skirmish group designs with minor updates required as the campaign advances. This makes such a tool a good investment – craft once, re-use often. Let’s say your group enjoys roleplaying and the PCs have a mix of combat and social abilities. A strengths and weaknesses analysis reveals that, like the normal populace, some PCs are not good at resisting mind-influencing magic. They’ll be easy targets for the yuan-ti sorcerers mentioned above. A couple of the PCs have solid resistance abilities though, giving the party an edge. The PCs also have strong network of friends, patrons, and contacts. This is a strength, but the informed yuan-ti also know it is a weakness – the sorcerers can turn the NPCs against the heroes and force the PCs to fight their friends and associates! Accordingly, you tweak your skirmish group design to give them access to the same social network the PCs are a part of. The yuan-ti also know the hero PCs are some of the most powerful individuals in the area. That can also be turned into a weakness. You immediately have the yuan-ti start questing for some form of mirroring type magic that would create clones of the PCs. You decide to game this out to provide session material, and to give the players a chance at stopping this plot. If successful, the yuan-ti will use their powers to control the clones to make life difficult for the PCs – either by framing them for misdeeds, or through a direct battle. Another design tweak you make is to split the yuan-ti up into three themed skirmish groups. One group specializes in politics, another in commerce, and another in military command. This prevents the PCs (and anyone else) from storming a single location and wiping the yuan-ti out. If one of the three headquarters is attacked, the other two can retaliate, creating a dilemma for the PCs. Thanks to the make-up of the party though – with a bit of tactical knowledge, a network of contacts, and strong overall social skills – the PCs are in a unique position to lead the struggle against the yuan-ti because no other organization has this spectrum of ability. The PCs could work to learn which NPCs are under the control of the yuan- ti, capture them until the magic has worn off or ended, and then strike the three yuan-ti headquarters without much threat of retaliation. This is a simplified example because we haven’t specified the full range of PC abilities, strengths, and weaknesses to design for. However, even at a conceptual level, hopefully you can see how such steps enrich plotting and adventure design. The master of Ravenloft is having guests for dinner…and you are invited. Expedition to Castle Ravenloft is a Dungeons & Dragons deluxe adventure that updates the original 1st Edition Ravenloft module, retaining the Gothic flavor and familiar elements while expanding and reimagining some of the locations to create a deeper, richer adventure experience. This campaign arc adventure is designed for characters of levels 6-10 and features a new, easy-to-use combat encounter format. This book also presents new magic items, feats, and prestige classes for player characters. This is where your ability to wing it comes into to play. And surprisingly, the off the cuff adventures and encounters can be the best, as every twist and turn is new for you as well as the players. Taking the above example of a gelatinous cube in a field, why is it there? Is a dungeon or crypt entrance right next to gelatinous cube, and as part of its clearing travels it just happened to pop out to the surface? Is there more than one? Could this be part of a previously unheard of gelatinous cube migration? Is the gelatinous cube being chased? Did the gelatinous cube just fall off something in the sky above? Is the gelatinous cube a poor soul that is victim of a polymorph other spell? Has exited its lair – A bear roaming out from it’s cave. Forced out – Bulette forced out of the hills by a dragon, the old food chain problem. Abandoned to time – The party discover half the head and shoulder of an iron golem sticking out of the ground. Fleeing – A group of orcs looks like they are charging the party when in fact they are fleeing from something else. Advanced Scouts – Just coming over the hill near a farm is a few kobolds on the backs of boars. They are scouting the area for a food and cow raid. Looking for treasure – A dragon has decided to collect animals for its own private zoo. The party can either help locate creatures or become part of the exhibit. What the? – A vampire is roaming around in the middle of the day. He’s part of an experiment by a Lich. The vampire is particularly chatty, mostly about how nice it is to feel the sun again. Injured and needing aid – A cloud giant fell from his home while drunk, and now needs help getting back. Summoned – A type of baatezu or tanari has been summoned; however the spell has gone astray and it ended up leagues away from the mage that cast the gate. Now it has to commit three selfless acts of kindness to return to the planes. The road to hell is paved with good intentions. Being transported – A group of ogres are in the back of a cage, they are being collected for fights in a gladiatorial arena. Here’s a tip for generating tension in the group. First, let me go through the setup, then I’ll explain what was going on. I was running a Traveller campaign set in the New Era with my players running round the galaxy following a trail of clues to some great but unspecified prize. The party lands on a planet run by a technologically elevated dictator and they decide to tread very carefully. Eventually, via a long and torturous route, they find the person who has the information they need. It is decided that one of the characters will go to see this person, while the others stay back at the ship. While visiting this person, the character is offered a cup of ‘tea’. Shortly after drinking this, he suddenly becomes very dizzy and faints. The first the other characters know of this is when their ship is surrounded by a military cordon and heavily armed men in NBC suits come aboard and take them off to the local hospital’s isolation ward, where they find their friend, still unconscious. The doctors in the hospital start to run tests on the characters, taking all sorts of samples and sticking needles in every part of their bodies. On the television, news stories appear about a strange new disease that has appeared that is nearly 100% fatal. Everyone the characters have met and talked to has died from the disease. The characters start to search the ward for hidden bugs -the more they don’t find any, the more convinced they become that they are there. One of the players (note: *player* not character) stops talking and writes down everything instead – including out of character and off-topic stuff – then he eats the pieces of paper! Eventually, the characters are told they are free to go. Fearing an attack on the way back to their ship, they take the most roundabout route imaginable. Once at their ship, they make a thorough check for explosive devices and tracers and then, with all guns powered up and manned, they blast off. For weeks and weeks (game time) after, they conduct sweeps of the ship – and themselves – trying to find out what the hell the dictator has had done to them, but they never find a thing. So, what was going on? Well, the character who collapsed had, on a previous world, contracted a viral infection. This was closely related to a virus he had immunity to, so he wasn’t affected. However, on-board ship, the virus mutated with another into a deadly killer. As the characters had partial immunity, they were OK, but the locals on the planet had no immunity whatsoever. Of course, the people they had had close contact with were amongst the first to die! When I finally let my players in on the secret – at the end of the campaign – I thought one of them was going to hit me – but they all agreed that that one puzzle had left them more confused, tense, and ultimately satisfied than any other part of the campaign. OK, so this was used in a sci-fi setting, but imagine what might happen if your fantasy characters sailed across the seas to unknown lands – and took the common cold with them, to which the locals had no immunity. Or your Cthulhu (or similar) investigators open some long-closed tomb. Or a cyberpunk scientist ‘accidentally’ creates some virulent disease. Or…well, I’m sure you can think up lots of other ideas. Every sentient creature is born with some potential to work magic. However, true mastery of arcane magic requires skill, practice, and power beyond the reach of common folk – specifically, the power to harness raw magic and shape it into a desired effect. You are among those gifted few who have learned to channel arcane magic, shaping it to serve your creative or destructive whims. This D&D supplement is intended for players and Dungeon Masters. In addition to providing the definitive treatise on arcane magic, it expands the character options available to users of arcane magic, including bards, sorcerers, wizards, assassins, warlocks, and wu jen. Herein you’ll find never- before-seen prestige classes, spells and invocations, magic items, alchemical items, heritage feats, and reserve feats (a new type of feat that grants special abilities to those who remain charged with magical power). Alternative class features give other character classes – from the barbarian to the rogue – a little taste of what it’s like to be an arcanist without sacrificing their core identities.